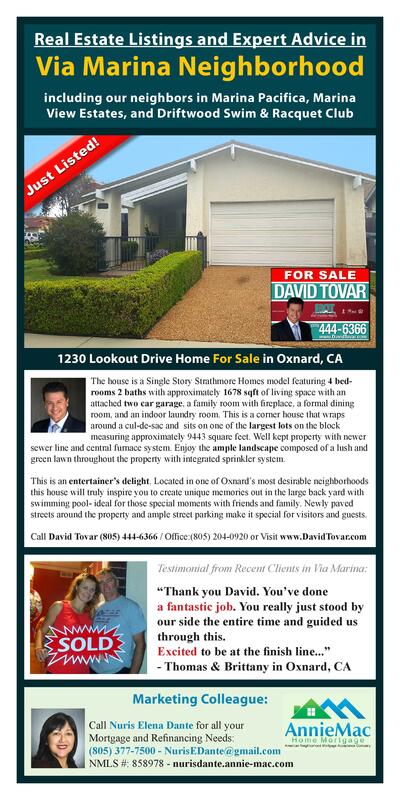 I would like to cordially invite everyone to attend my next Open House this Saturday March 19, 2016 in the desirable Via Marina Community located at 1230 Lookout Dr Home for Sale in Oxnard, CA from 1 PM to 4 PM. Feel free to bring your family, friends and extended work colleagues. 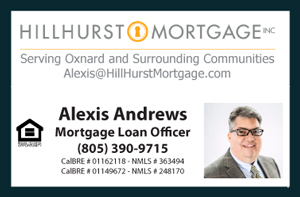 I will be having a lender present to answer all your affordability concerns: Nuris Dante from AnnieMac Home Mortgage. This is a must see to appreciate property located just around the corner from Christa McAauliffe Elementary School and Via Marina Park. Come and get a feel for this wonderful family oriented Neighborhood surrounded by parks, schools, and well kept roads. Don't miss this opportunity!